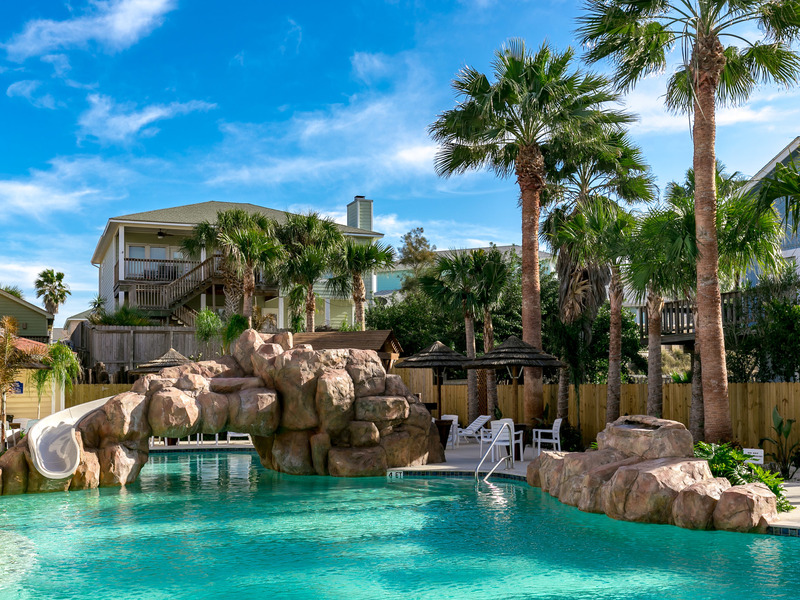 Tucked away in the new sought after neighborhood Beachside, Just Beachy sits perfectly in it's own little oasis. 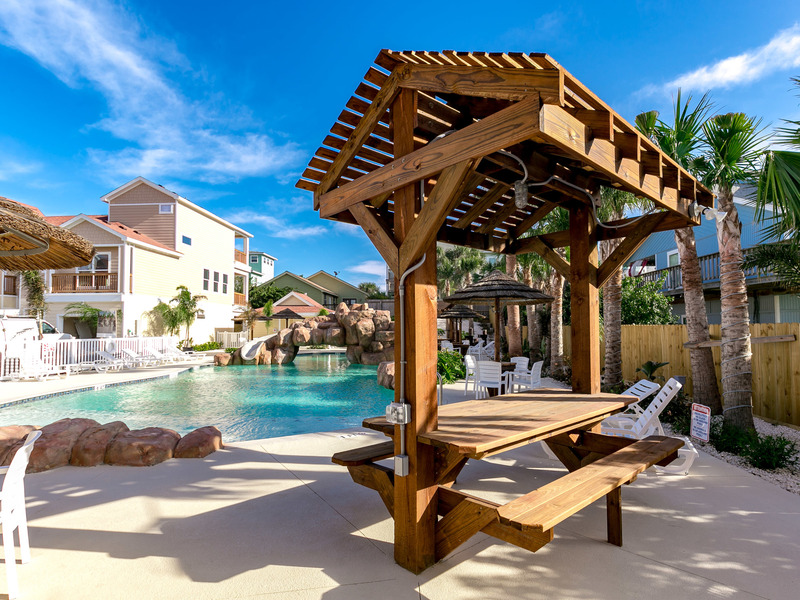 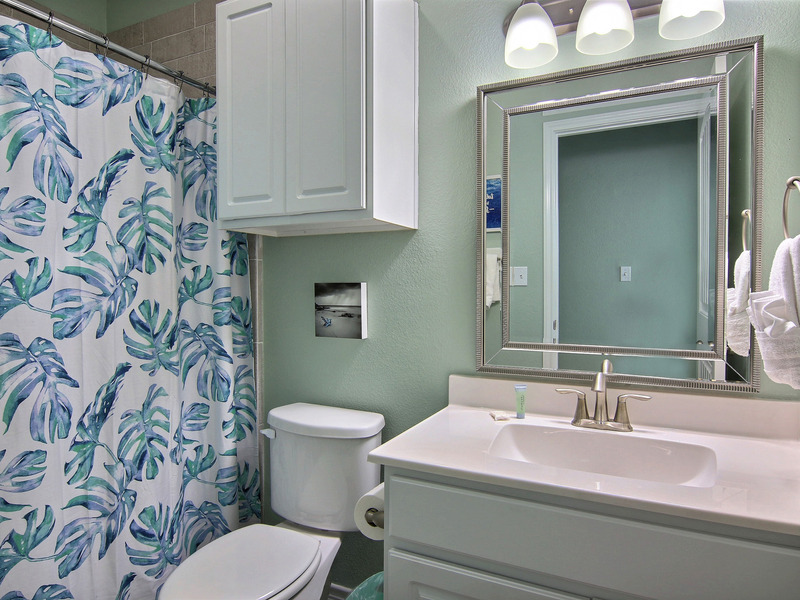 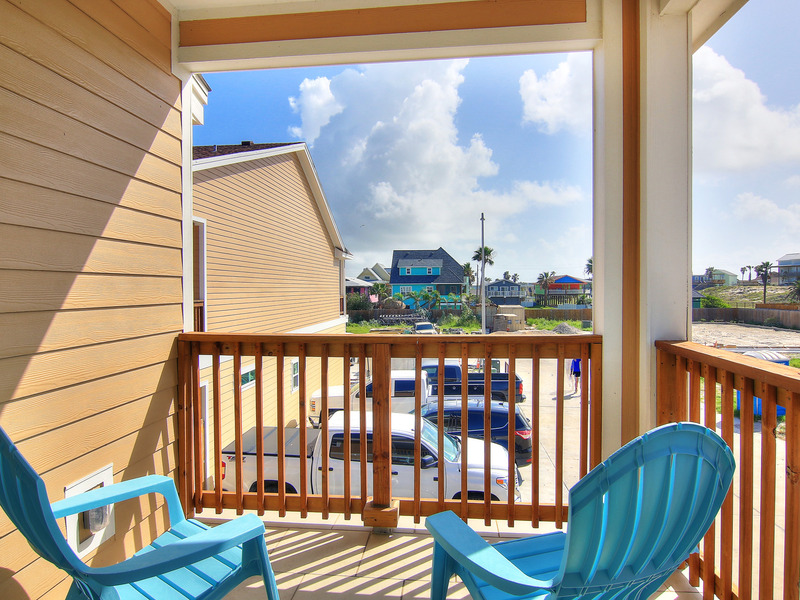 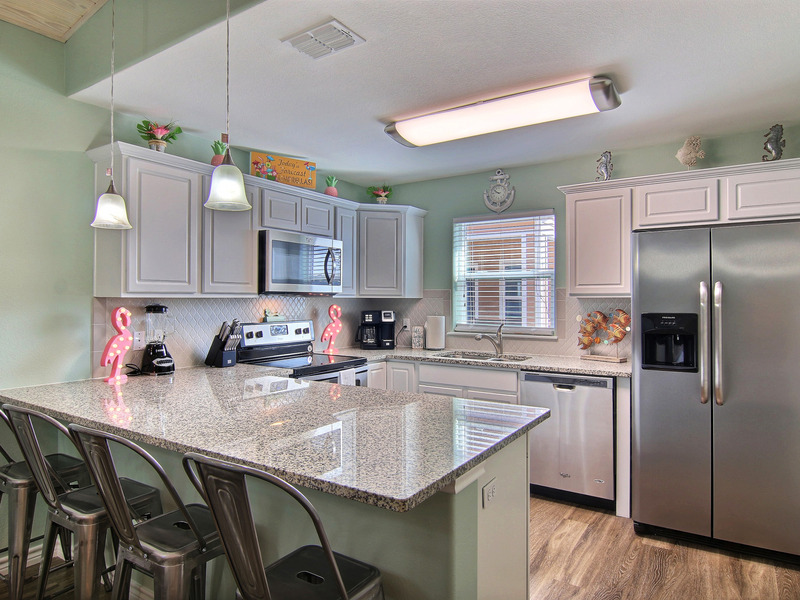 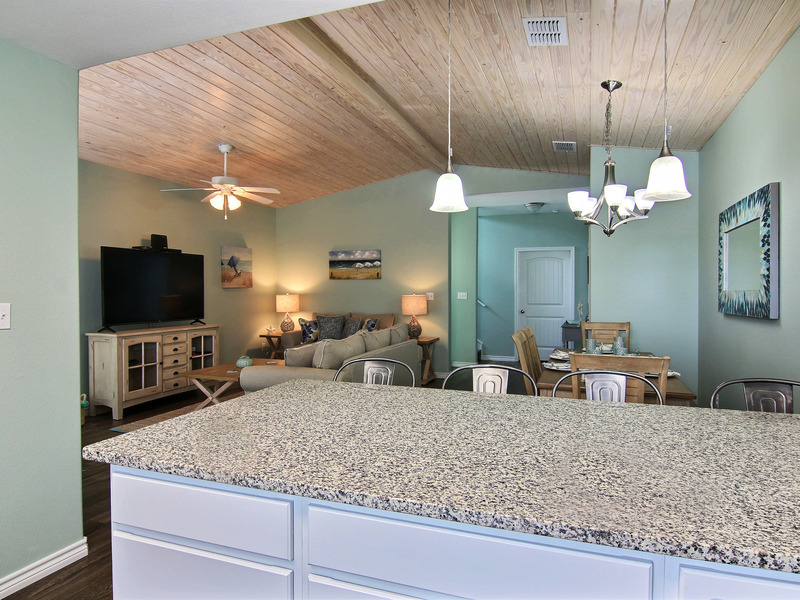 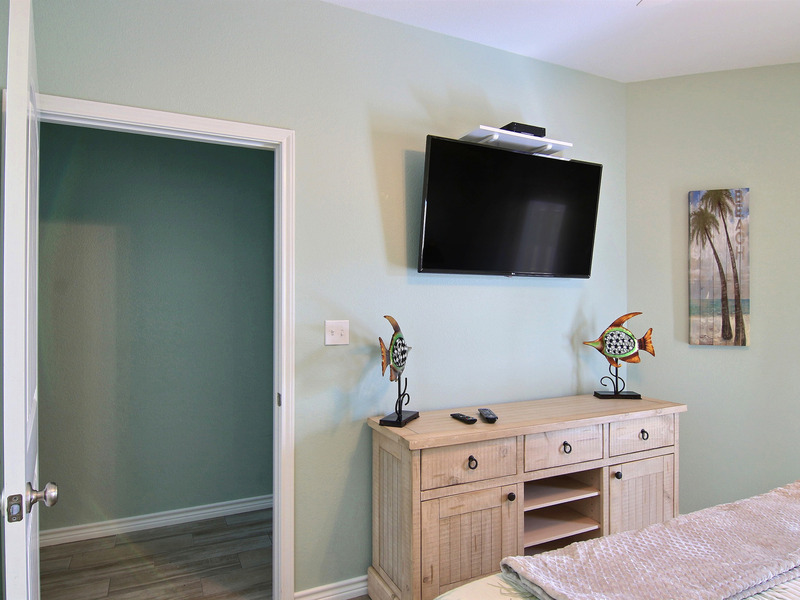 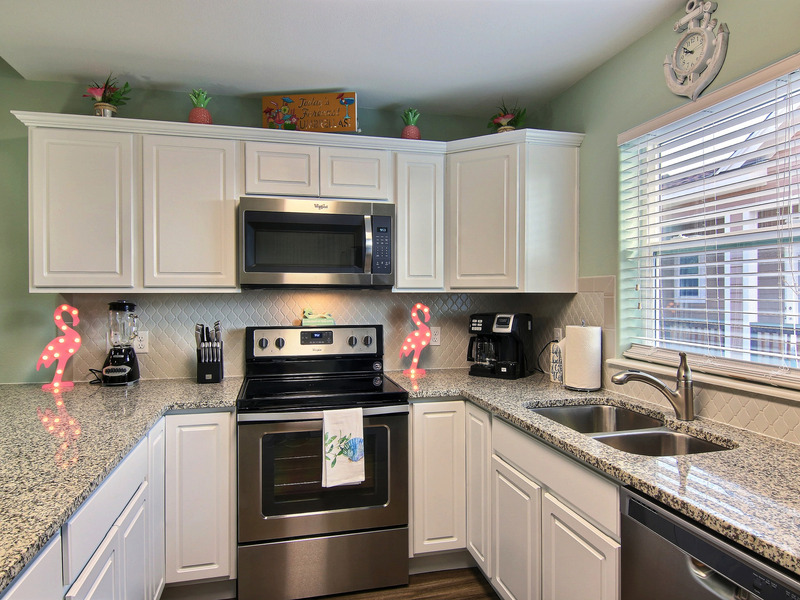 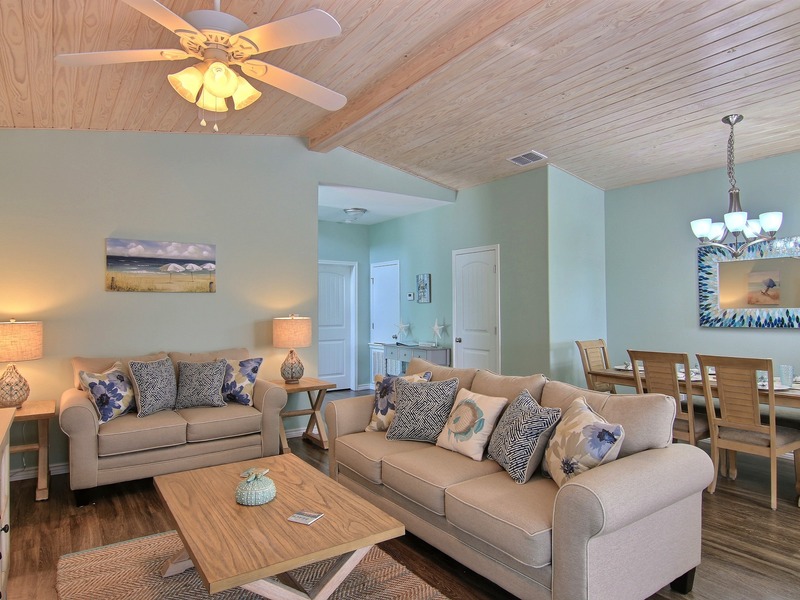 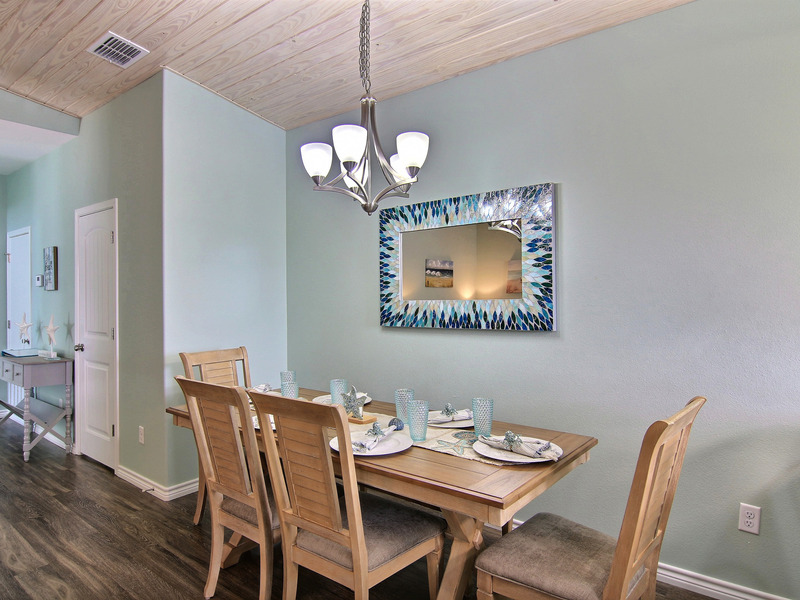 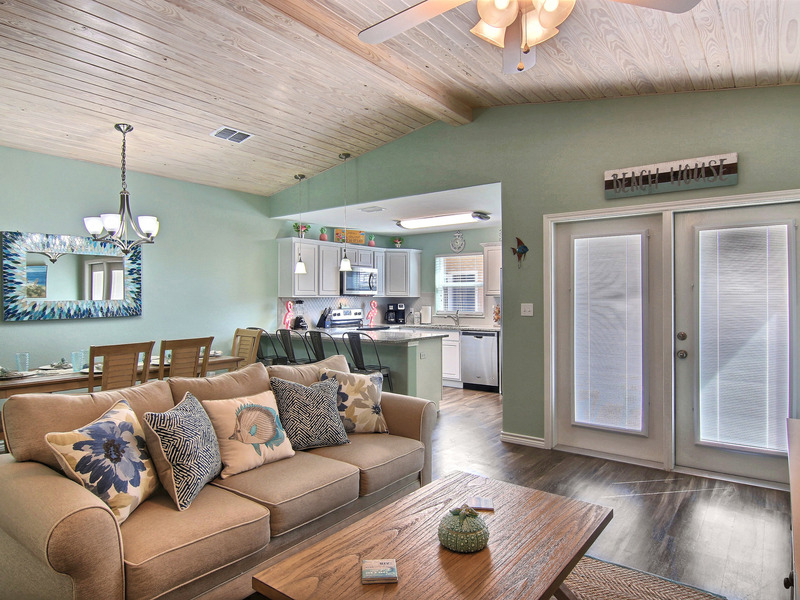 Located near the beach and town this one of a kind Port Aransas Beach home is everything you need to enjoy a fun filled vacation. 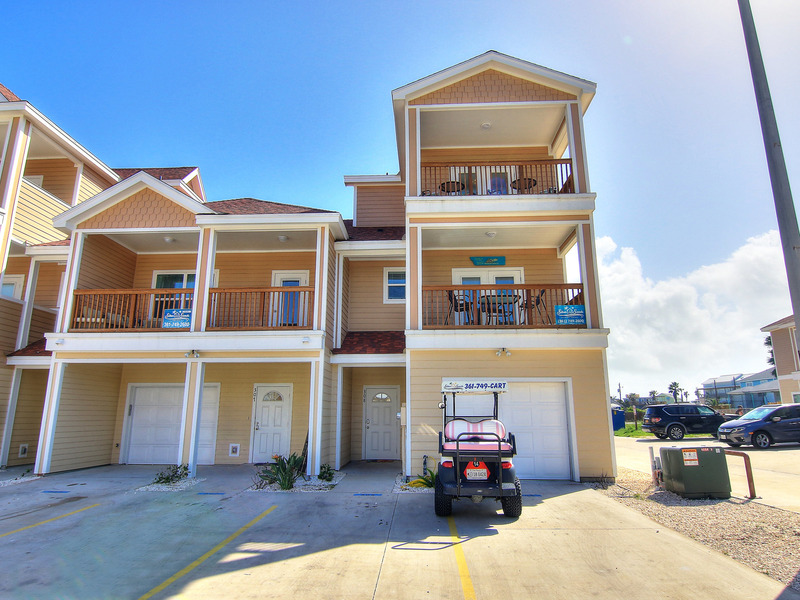 Take a quick stroll to the beach or golf cart ride into town where you can enjoy what Port A has to offer. 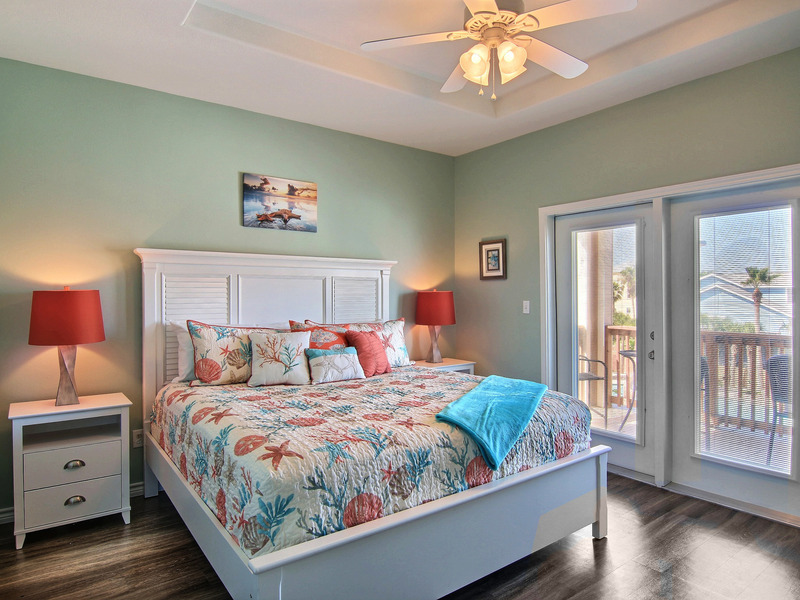 Step through the front entry into a three level floor plan. 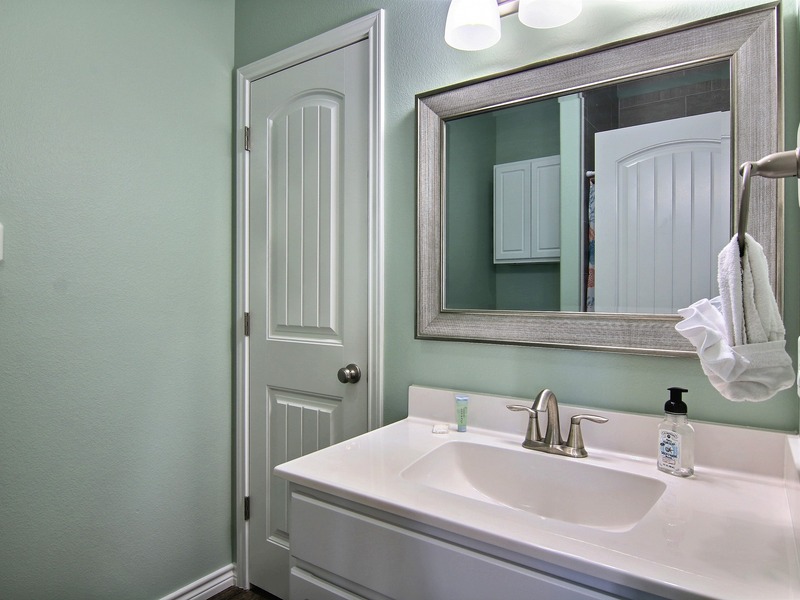 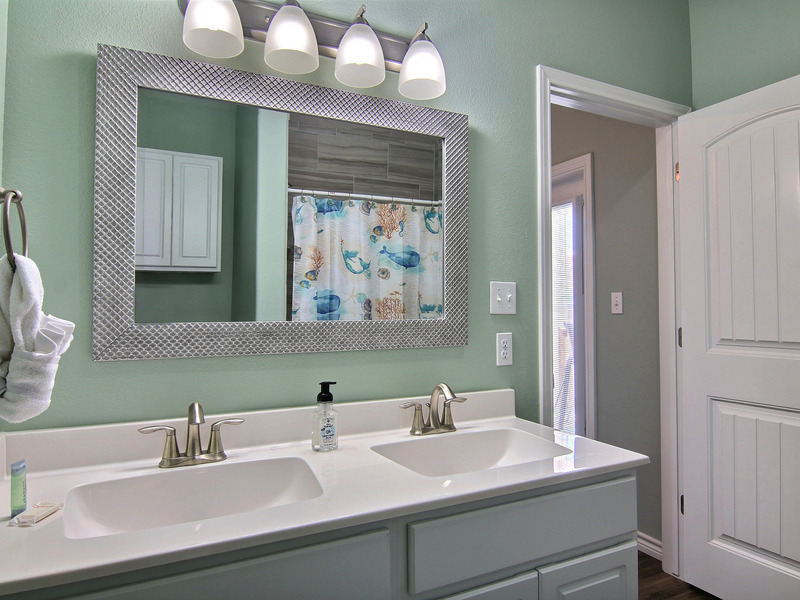 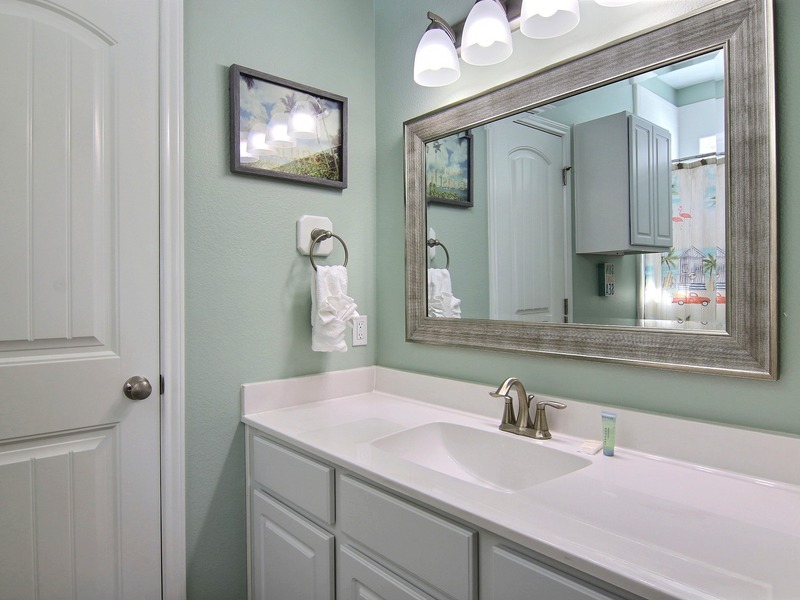 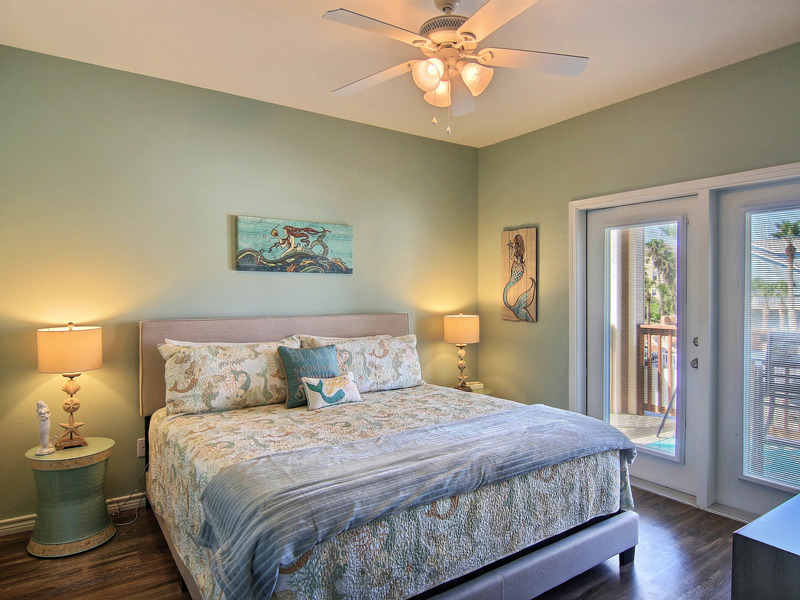 The downstairs offers a king bedroom with a private bathroom. 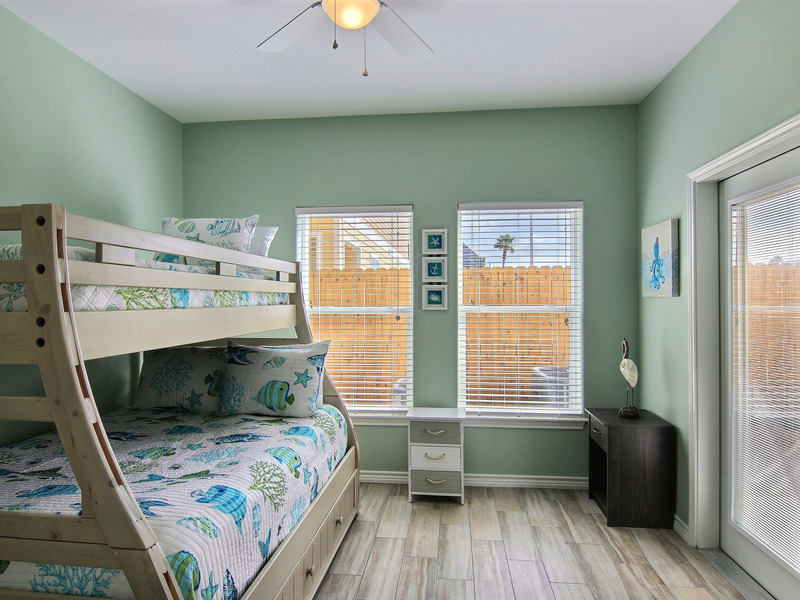 The bunk room offers a twin over full bunkbed with a twin trundle and flat screen TV. 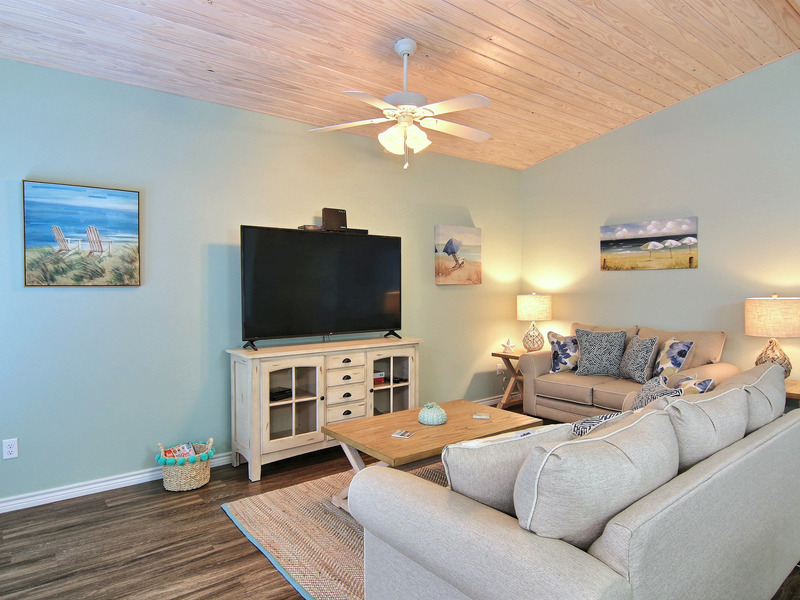 Located on the second level is a open living space that leads to a spacious open floor plan including a living room, dining area and fully stocked kitchen. 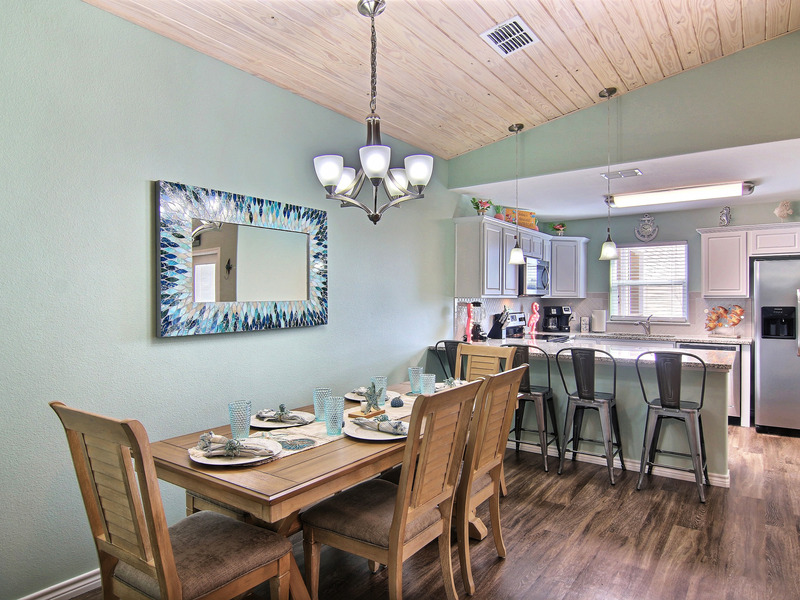 This open floor plan is great for entertaining or even hosting family dinners. 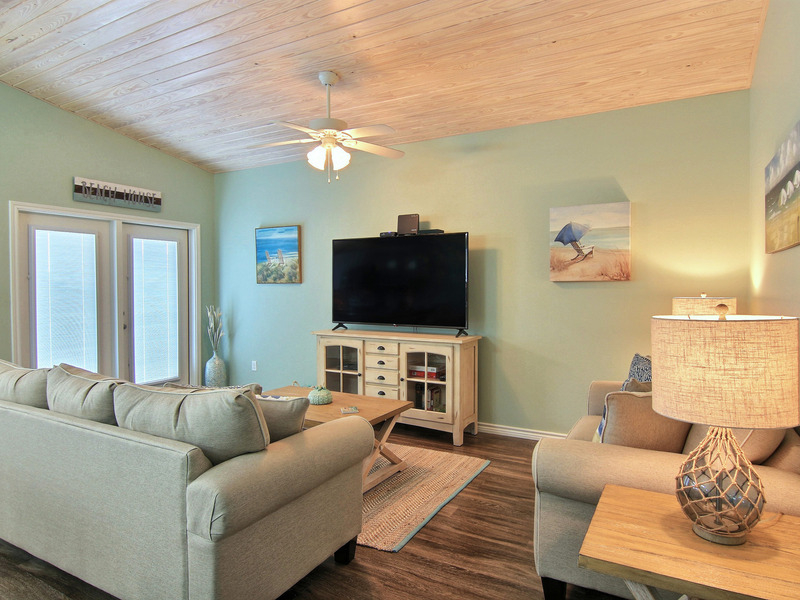 The living room offers a plush queen size sleeper sofa for additional sleeping. 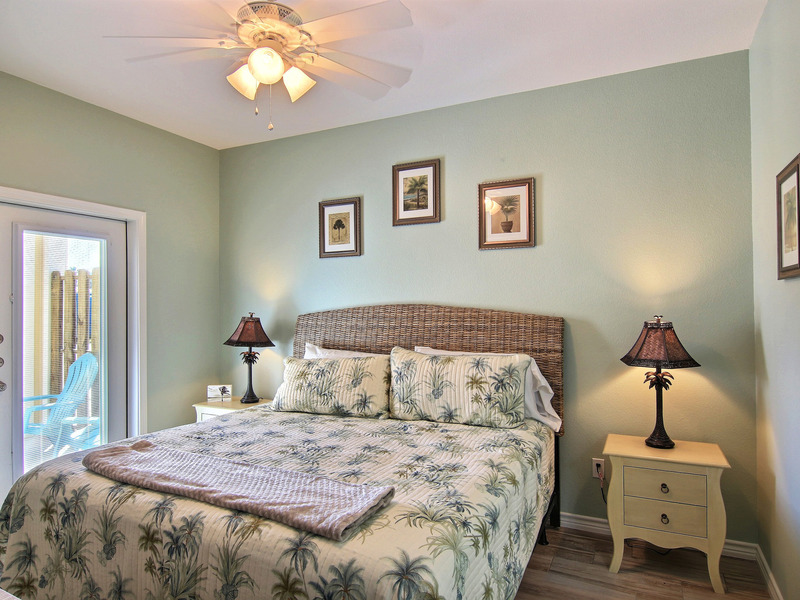 The master bedroom is located on the second floor. 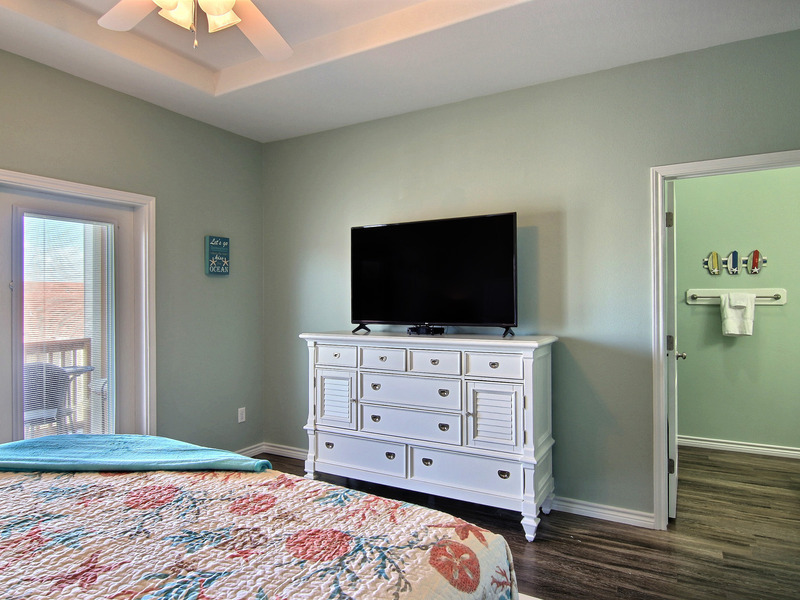 Enjoy the master king size bed, flat screen TV and private en-suite bathroom. 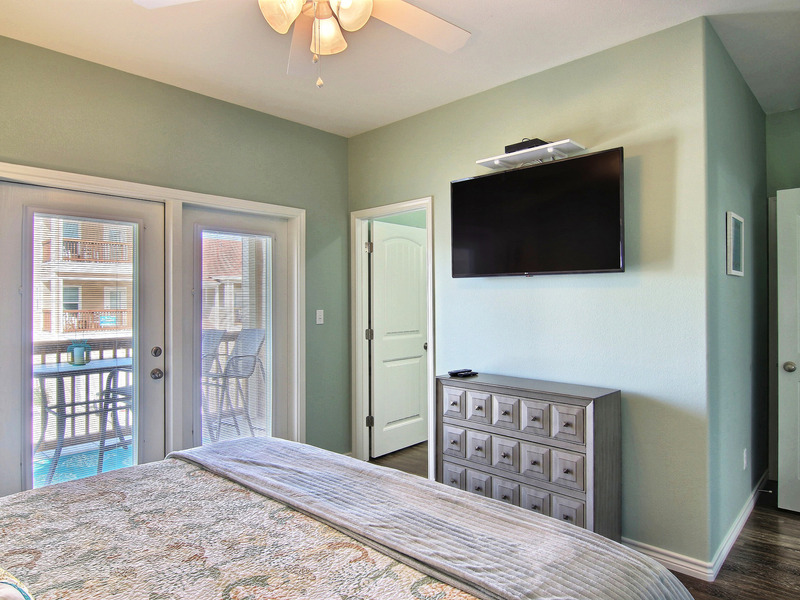 The second master bedroom, located on the third level, offers a king size bed, flat screen TV and private bathroom. 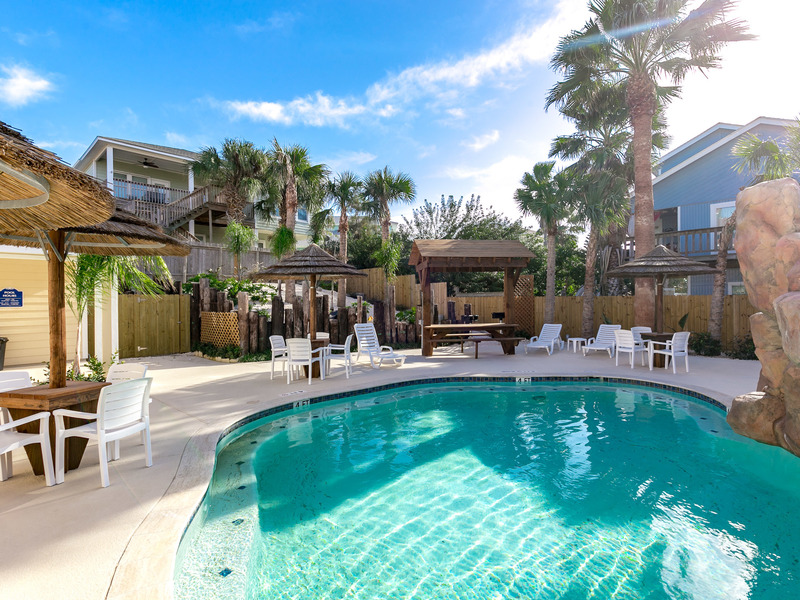 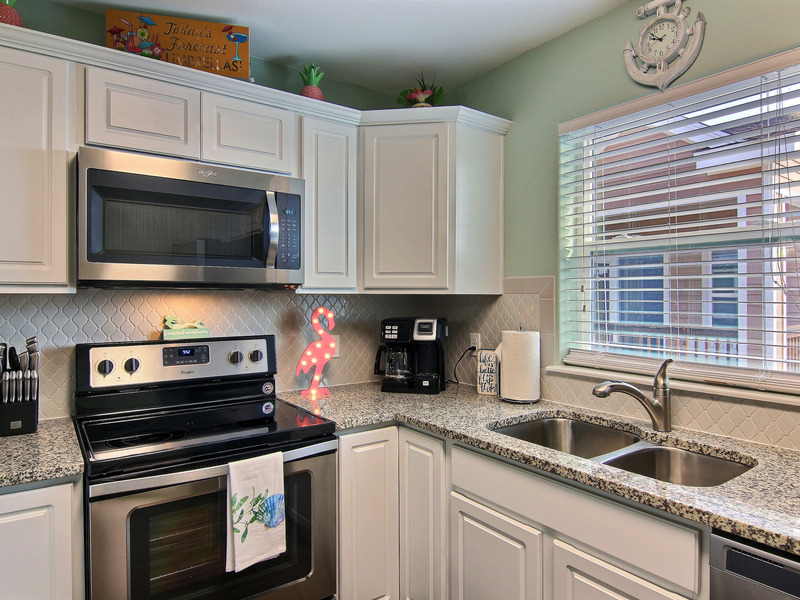 This pet-friendly Port Aransas vacation rental has a fully fenced in yard that provides full privacy. 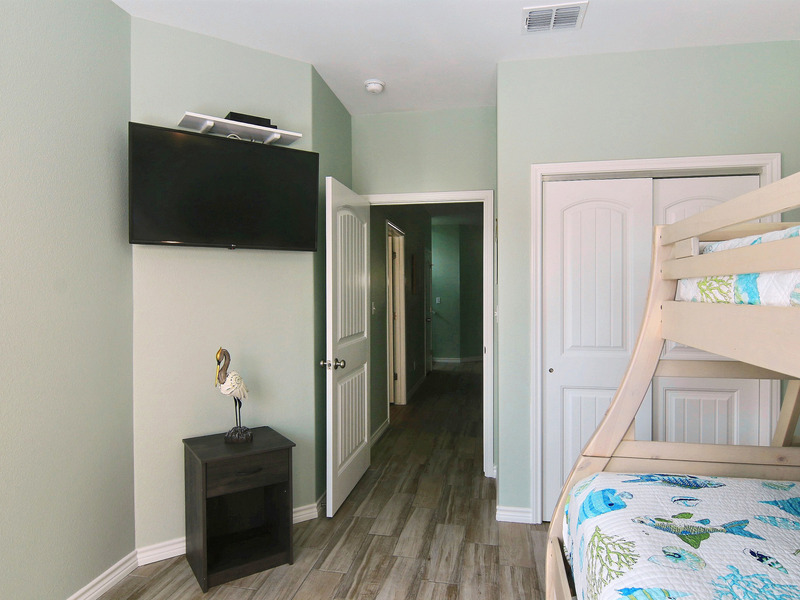 It's ideal for letting your pet run loose during your stay. 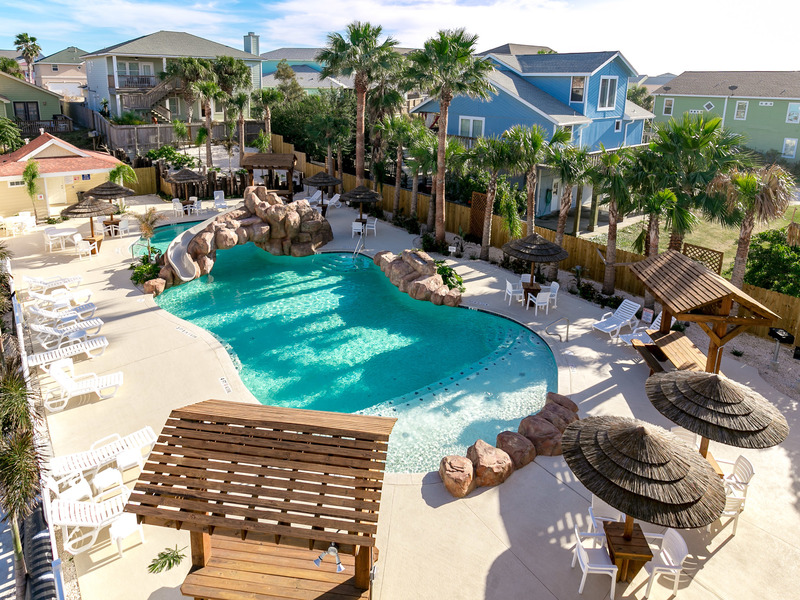 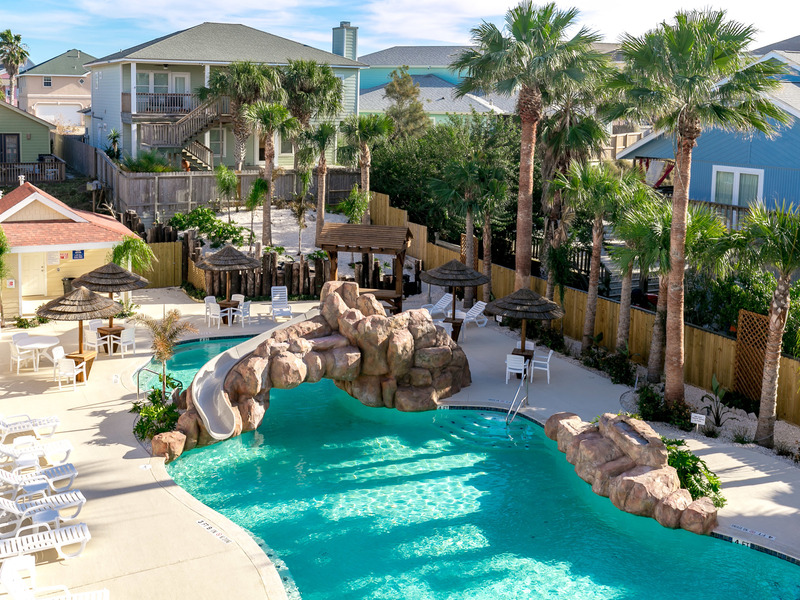 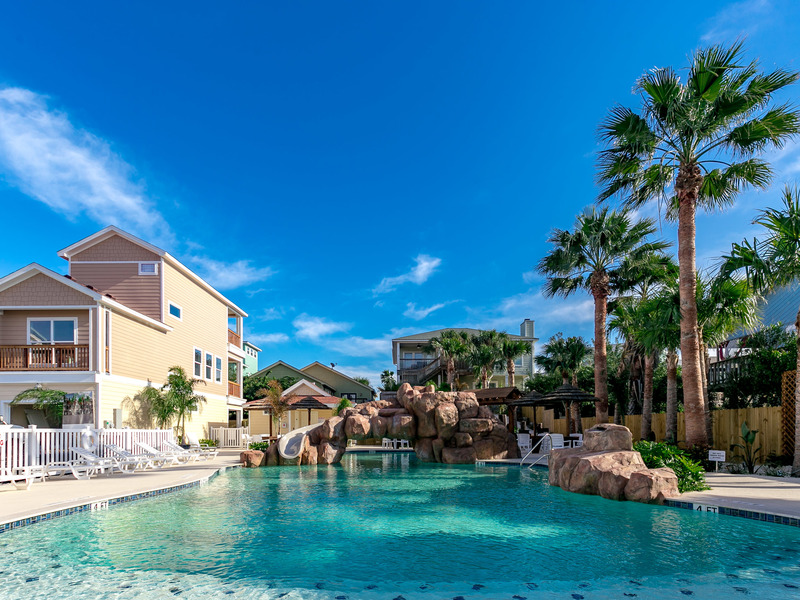 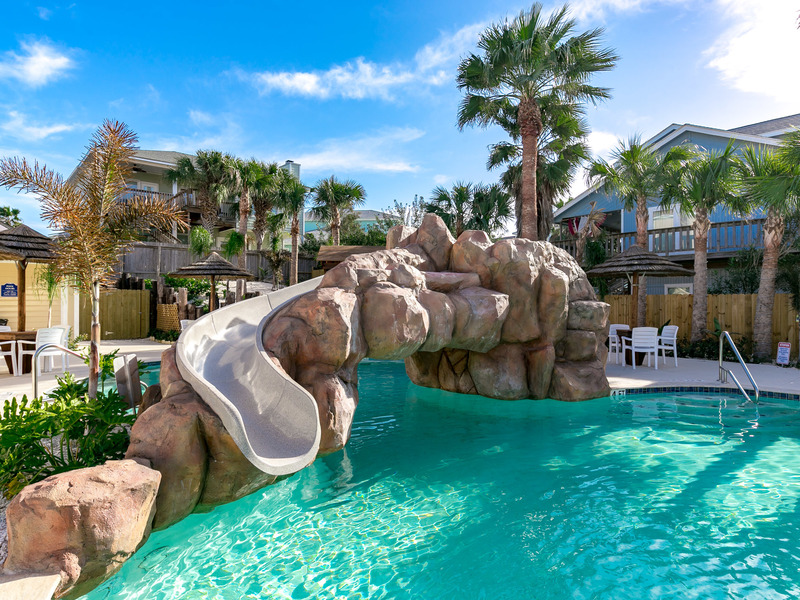 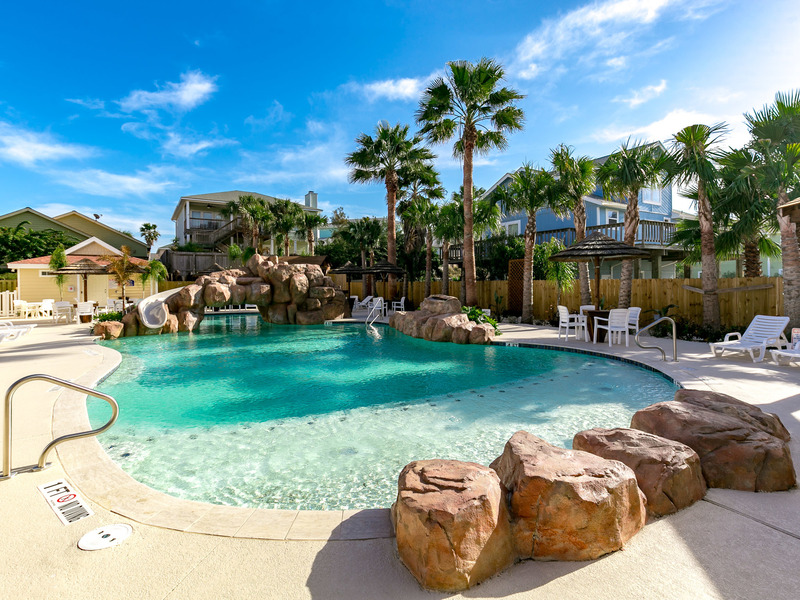 Take advantage of the other amenities offered by Just Beachy which include: parking for two vehicles, Free Golf Cart, TV's in Every Bedroom, Pool, Walking Distance to the Beach, Linens and Towels and much more.